Another South Australian business has secured a contract with a SEA 5000 Future Frigates contender. A day after announcing South Australia's Airspeed has secured a contract to conduct design studies into composite materials on its ships, Navantia Australia has confirmed SA's Lai Switchboards Australia will conduct preliminary studies into the design and build of low voltage switchboards as part of Navantia Australia’s proposal for the Australian government’s Future Frigate program. Lai Switchboards Australia specialise in the design and manufacture of custom main switchboards and packaged switchroom solutions. 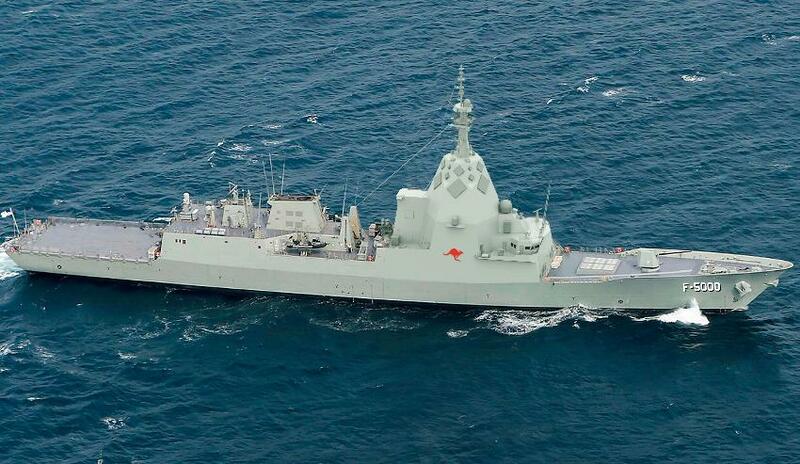 Navantia Australia managing director Donato Martinez said the contract signifies the beginning of what both companies expect to be a collaborative and longstanding relationship. "Australian industry is critical to Navantia Australia’s shipbuilding capability. We’re committed to helping local industry grow and supporting small and medium enterprises to enter the global market, in turn creating export opportunities for Australian business," said Martinez. "Our focus with Lai Switchboards Australia is to ensure they are fully conversant with requirements for equipment installed in naval platforms. We look forward to continuous interactions between the engineers of both Navantia Australia and Lai Switchboards Australia in support of this activity and for the F-5000 frigates." Lai Switchboards Australia director Frank Iarriccio said the family owned business would expand its facilities if Navantia is named as the successful bidder for the $35 billion SEA 5000 program. “The prospect of being a part of the Future Frigates program is very exciting for us," said Iarriccio. "Being able to partner with Navantia Australia, who are experienced in designing naval vessels for Australia and have been doing so for the past ten years, gives us confidence in that we will be able to deliver the best outcome for the Royal Australian Navy. We will need to expand our Adelaide facility if Navantia Australia is successful in the SEA 5000 bid." Lai Switchboards Australia is one of Australia’s largest switchboard manufacturers and was established in 1969. The small business has already delivered switchboards and switchrooms to a wide range of industries, including defence, road, rail, mining, oil and gas, utility infrastructure and hospitals.